Ventura Dreaming: I'm Ready for Winter Now! I'm Ready for Winter Now! Like the ads say, "it isn't winter until the new Warren Miller movie comes out." I know that Fall has barely begun, but now that I've seen this trailer I'm ready for the snow! 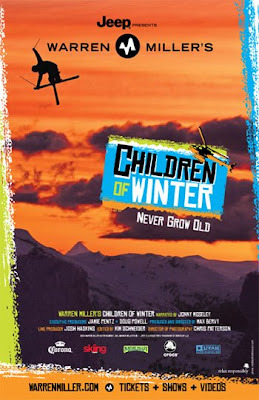 The new movie is called Children of Winter. Turn up the volume and enjoy this clip!